Make the switch to truly affordable abundance. Hillsboro’s low-cost, high-production paradigm yields true energy market efficiency and keeps water and data flowing. Power: Reliable power and the empowerment of choice. While much of the nation lets the electrical utilities play monopoly with your money, here in Hillsboro, a deregulated Texas energy market means you have the power of choice. With a rugged and reliable infrastructure provided by Oncor, Texas’ largest transmission and distribution utility, Hillsboro is equipped to handle the energy needs of any size company, any sector, with transmission voltages of 69, 138 and 345 KV. And thanks to a choice of energy providers, your operation runs more effectively and cost-efficiently, with packages customized to your needs—whether it’s fixed- or variable-rate, or even green energy. Hillsboro electricity is truly smart power. For reliable, competitively priced natural gas, Hillsboro industry is served by Dallas-based Atmos Energy, one of the nation’s leading natural gas providers. Water: Lower cost, higher capacity. 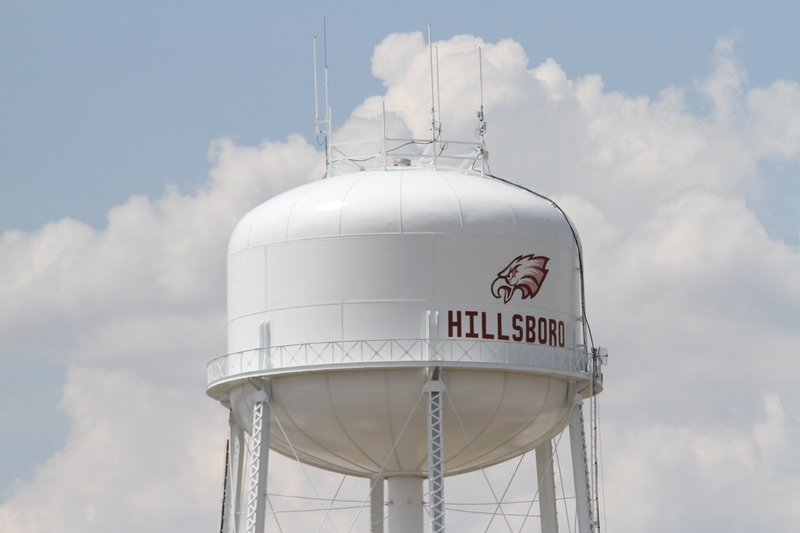 From agricultural processing to chemical production, whatever your water needs, Hillsboro offers the capacity—3.25 million gallons per day—at the right costs to keep productivity and profitability flowing, with a daily sewage capacity of over 1.8 million gallons. And as a member of the Aquilla Water Supply District, Hillsboro has projected water surpluses through the year 2070. From fiber optics to T-1 lines, the latest in telecommunication infrastructure and service are available through leading providers, including AT&T and Windstream. ©2016 Hillsboro Economic Development Corporation. | Site developed by Marketing Alliance, Inc.